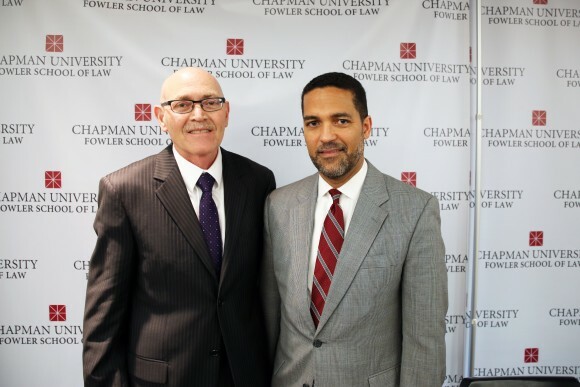 On March 29, Chapman University Dale E. Fowler School of Law welcomed Lonnie T. Brown, Jr., A. Gus Cleveland Distinguished Chair of Legal Ethics and Professionalism at the University of Georgia School of Law, as a guest speaker for the 2016 Chapman Dialogue Lecture Series. 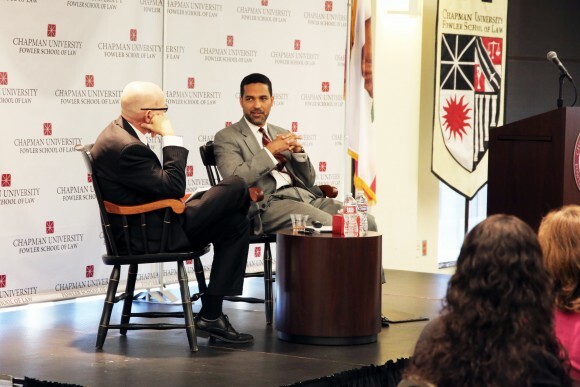 His presentation, “From Watts to Ferguson: The Prophetic Wisdom of Ramsey Clark,” was followed by a discussion with Fowler School of Law Interim Dean Scott Howe, and a lively question and answer session with student and faculty guests. 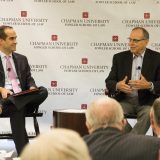 Professor Brown’s presentation was based on part of his larger book project on Ramsey Clark, a notable American lawyer who served many roles across the years including as Attorney General of the United States between 1967 and 1969. 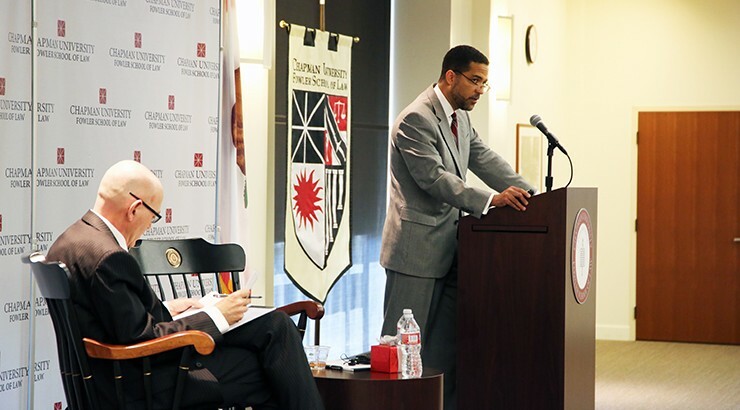 In his Dialogue presentation, Brown highlighted the period of time when Clark served as chair of a task force to study the appropriate federal government response to the Watts riots that occurred in Los Angeles in 1965. Professor Brown provided a detailed description of the events leading to the Watts riots and the devastation that resulted from those events, providing context by describing other riots that had preceded them and the growing racial tensions that were percolating throughout the country. President Lyndon Johnson created a small task force led by Clark to consider the causes of the Watts riots and to identify policies that might be implemented in response. Professor Brown explained the open-minded, sincere and empathetic approach taken by Clark in carrying out the work of the task force, designed to give voice to the affected community. Professor Brown explained the findings in the report, including the calls for a massive effort for providing greater employment opportunity, for opening doors to education and providing an equalization of educational opportunity and quality, to instilling a greater culture of community policing to help overcome distrust and fear among racial minorities, and to fostering greater communication between blacks and whites in the communities. Despite being submitted to him, President Johnson never publicly released the Clark task force report. Professor Brown explained messages such as those offered by the task force were not well-received by many who saw the riots as unjustified and spurred by illegitimate grievances and the fault of activists, agitators and professional minority leaders exploiting the problems of their own communities. Some came to the defense of the police against what they saw as illegitimate criticism. Others replied to these claims, explaining that the riots were a reminder of deep-seated problems that must be understood and addressed at their roots. Professor Brown continued by discussing further riots and other tumultuous developments in race relations that occurred post-Watts. He explained Ramsey Clark’s rejection of the law and order mentality to controlling civil unrest and Clark’s favor of more compassionate and understanding approaches instead. Clark eventually left the Department of Justice, but in 1970 published his bestselling book Crime in America, largely echoing and expanding on the sentiments and recommendations provided in his task force report. Professor Brown contended that Clark’s analysis and observations in that book are still relevant today and that we have been reminded of Clark’s concerns periodically across the ensuing 47 years, including most recently with the events in Ferguson, Missouri. 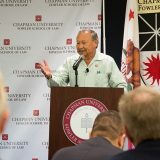 Professor Brown concluded with a riveting comparison of the climate and events in Watts to the same surrounding conditions and beliefs in Ferguson, demonstrating that many problems of the past persist today and that there is a renewed, past-due need to consider some of Ramsey Clark’s decades old, yet under-implemented recommendations. Indeed, as Professor Brown identified through representative comparisons, many parts of the post-Ferguson Department of Justice report sound discouragingly familiar to the analysis and recommendations offered in the Clark task force report nearly 5o years ago. If things are to change, Professor Brown stated, we must acknowledge that stagnation and take a different path, including committing to a more patient, determined and massive effort to give a voice to the unheard and to address the underlying causes of violence and unrest. Lonnie T. Brown Jr. is the A. Gus Cleveland Distinguished Chair of Legal Ethics and Professionalism at the University of Georgia School of Law. He joined the Georgia Law faculty in the fall of 2002 and teaches courses in civil procedure, the law and ethics of lawyering, ethics in litigation and conflict of laws. 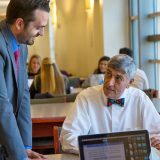 From 2013 to 2015, he served as the law school’s associate dean for academic affairs. (2009) and “Representing Saddam Hussein: The Importance of Being Ramsey Clark” in the Georgia Law Review (2007). Prior to joining UGA, Brown was an assistant professor at the University of Illinois College of Law and served as a visiting assistant professor at Vanderbilt University. In addition, he taught at Emory University as an adjunct professor. He also served as a judicial clerk for Judge William C. O’Kelley of the U.S. District Court for the Northern District of Georgia. From 1991 to 1999, he practiced law as an associate and a partner at Alston & Bird in Atlanta. Brown currently serves on the Drafting Committee for the Multistate Professional Responsibility Exam and on the State Bar of Georgia Formal Advisory Opinion Board. He also serves as the reporter for the U.S. District Court for the Northern District of Georgia’s Local Rules Revision Project. 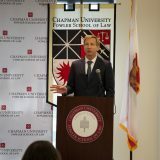 In addition, he has been a member of the Executive Committee for the Professional Responsibility Section of the Association of American Law Schools, the AALS Committee on Bar Admission and Lawyer Performance, the American Bar Association’s Center for Professional Responsibility and the Association of Professional Responsibility Lawyers. In 2007, Brown was the recipient of the inaugural C. Ronald Ellington Award for Excellence in Teaching. 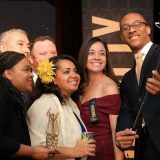 He is also an eight-time recipient of the Student Bar Association’s Professionalism Award and has been twice selected as an honorary faculty marshal by graduating classes. 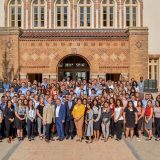 At the university level, Brown has served as an Administrative Fellow in the Office of the Senior Vice President for Academic Affairs and Provost and as a Senior Teaching Fellow. In addition, he is a member of the UGA Teaching Academy. Vanderbilt Journal of Transnational Law.